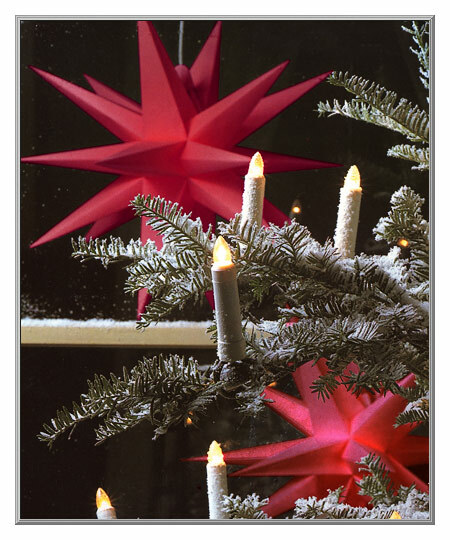 Symbolizing the Star of Bethlehem, this style of paper star is always displayed in Eastern Germany beginning on the first Sunday in Advent. 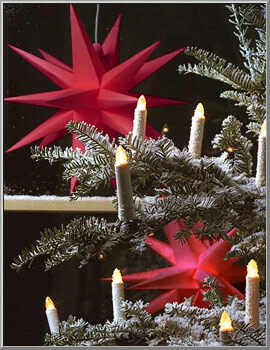 Handmade in the old fashion, the 3-D star design was patented in 1926 for its unique folding design. 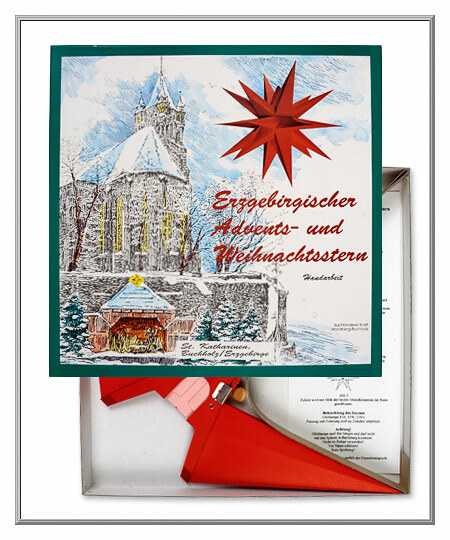 For indoor use only, the boxed light-up star kit comes complete with fold-open paper star, instructions pamphlet in both English and German, a 10 foot long white electric light cord, 15 watt bulb and USA voltage adaptor plug. For indoor use only. 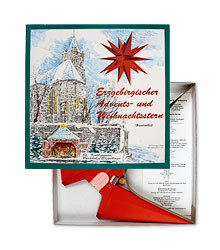 Sold as one Advent star kit. 22" wide and has 18 points. Electric light cord is included.